, and then press play. 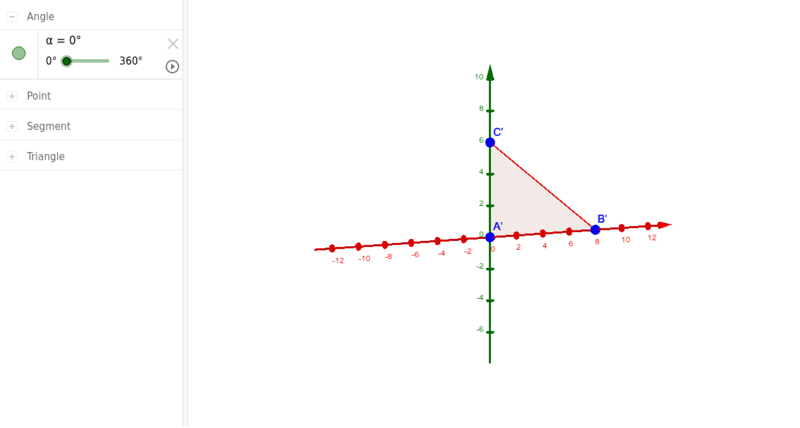 Which axis is the triangle rotating around? b. Name the solid formed by rotating triangle ABC around the axis. c. Identify the height and the radius of the solid in revolution. d. What is the surface area of the solid formed? e. What is the volume of the solid formed?